It's time. He's been lights out this season. Can't wait to say what's in store for the remainder of the year. 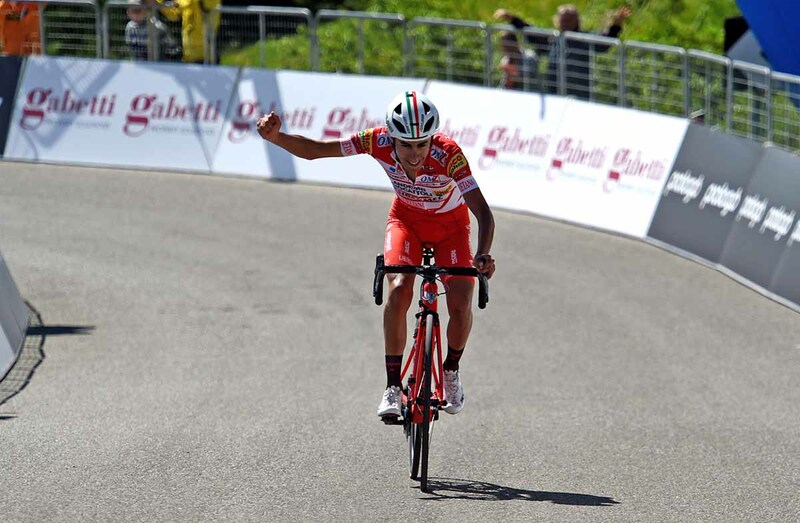 Likely leadership in Tour de l'Avenir, Innsbruck U23 World Championships and Lombardia. Several weeks ago, Savio confirmed that Sosa will be on the team next year. 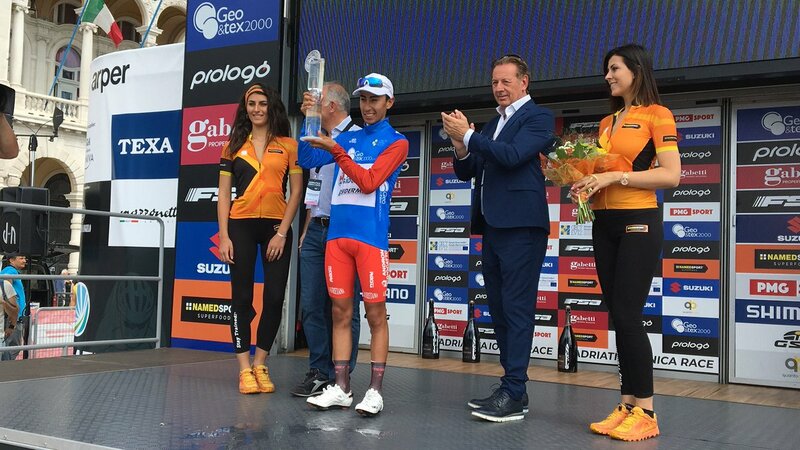 If Androni were to acquire a wild card or win the Copa Italia, they will bring him to the Giro next year. Yeah, great talent indeed. And great that he is staying another year with Androni. Can't wait to say what's in store for the remainder of the year. Winning Sibiu Tour will be next, i guess. Another Lavenir winner for Colombia! Escarabajo wrote: Another Lavenir winner for Colombia! There's a TTT, which will be problematic. DNP-Old wrote: There's a TTT, which will be problematic. At least he will get some help from the others. Guys like Osorio and Paredes have bigger engines. In Slovenia Sosa finished almost last in the TT, losing 4:49 in 21,5 km to Roglic. It wasn't much better in Bihor over only 2kms in a much lesser peloton. Dani would be the runaway favorite if he were to start. However, l'Avenir collides with La Vuelta, so chances of him actually doing so are close to 0 if you ask me. Despite Savio's words on Ivan staying fora another year, several World Tour teams have shown serious interest, mainly Trek. It is confirmed, he'll be riding l'Avenir. Isn't that where Egan also is training? And Nairo? Valv.Piti wrote: Isn't that where Egan also is training? And Nairo? Egan yes. Nairo no, he trains in Boyaca. Sure. But it is the same basic region (Altiplano Cundiboyacense). Although you could argue Pasca, where Sosa is from, sits a few km below the altiplano (plateau), at a mere 2,100m (whereas most of the altiplano lies at around 2,600-2,800m). It is the same region, but the region is quite big. They can train in the same area and not see each other one day. Yeah, time trials are going to be really problematic going forward. It's not even Superman or Egan kind of bad. Sosa takes it to a whole new level. Today he was 25 seconds down to Ballerini in a 2 kilometer prologue. In Slovenia earlier, he finished 129th out of 143 riders, 5 minutes behind Roglic.